This is the part of our life that can cause us stress and make us nervous. 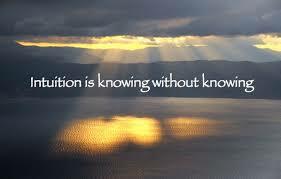 Our Intuition is the life force and spirit of who we are, it is our connection to our Soul. Our gut feeling has been reminding us over and over again giving us signs and signals to the situation at hand. Making the decision is the most difficult part once you decide everything will fall into place all you have to do is trust your intuition.